Best grown trained against a sunny, sheltered north or west facing wall, or under cover in cooler climates. In warmer climates, kiwis thrive in full sun provided their roots receive midday shade. 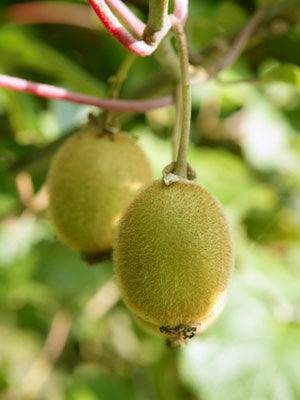 Most kiwi varieties require both male and female plants for successful pollination. One male plant can pollinate up to eight nearby females. Hardy kiwis produce smaller fruits, but are usually self fertile. Healthy kiwi vines will bear for ten years or more.